We are a group of two Companion Animal Hospitals accredited by the College of Veterinarians of Ontario, the licensing body for Veterinarians and veterinary hospitals in the province. 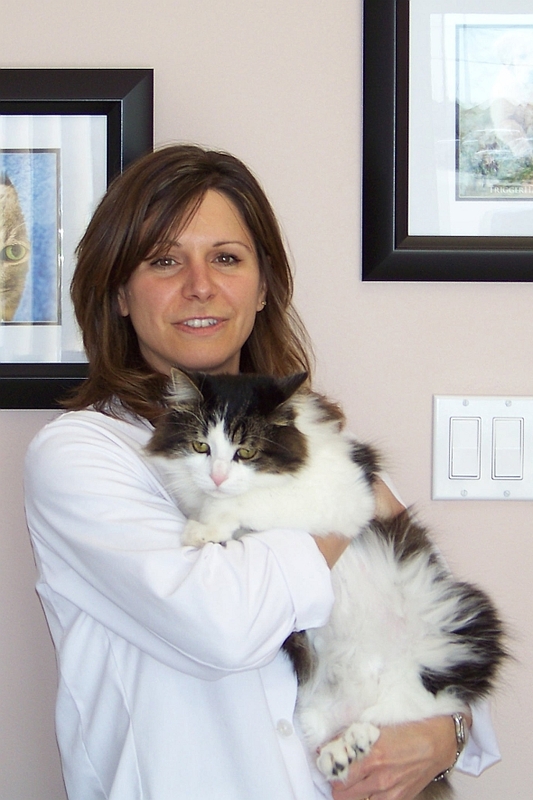 Established by Dr. Sandi Rosely, Avonlea Animal Hospital has been serving the Mississauga Meadowvale community since July 2000. 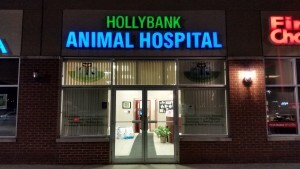 In 2007, Hollybank Animal Hospital opened to service the growing neighbourhoods in south Milton. Choosing your pet's doctor and health care team can be a very difficult process. We can assure you that all of your pet's health care needs will be met with our hospital staff and services. Our pet care health services include wellness care, vaccinations, medical care, surgery, dentistry, x-rays, and behaviour, obedience and dietary management. "It is our goal to provide comprehensive veterinary service emphasizing customer service and patient care, while providing employees with desirable and fulfilling employment." Our management style reflects the needs of our clients with services and office hours being evaluated regularly to meet client use and needs. It is our intention to establish and maintain a long-term relationship with our clients. To foster this relationship, we will ensure that they have been heard, respected, educated and treated in a timely manner. 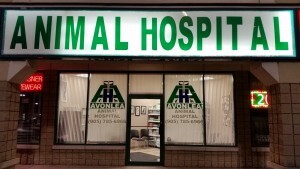 The full-service veterinary hospital, is conveniently located within the Metro plaza on the corner of Derry Road West and Tenth Line. Our hospital hours are 8 am to 7 pm Monday to Friday and 9 am to 3 pm on Saturday. Although an appointment is not necessary, we do recommend that you pre-book your appointment as this will reduce wait time and ensure prompt service. Our phone number is 905-785-6966. The full-service veterinary hospital, is conveniently located within the Metro plaza on the corner of Thompson Road south of Derry. Our hospital hours are 8 am to 7 pm Monday to Friday and 9 am to 3 pm on Saturday. Although an appointment is not necessary, we do recommend that you pre-book your appointment as this will reduce wait time and ensure prompt service. Our phone number is 905-864-0022. We strive to schedule our appointments throughout the day to avoid any waiting times. We recommend that you schedule an appointment, although we will accommodate clients that arrive without one when time permits. If there has been an emergency that prevents us from seeing you in a timely fashion, we will advise you of the expected delay immediately and make alternate arrangements at your convenience. Your pet's welfare is our first priority! We always expedite emergency cases. With our two locations being within 15km of each other, we have the flexibility to redirect staff to address any emergency. We also work closely with emergency and referral clinics to ensure that your pet gets the best medical attention available. 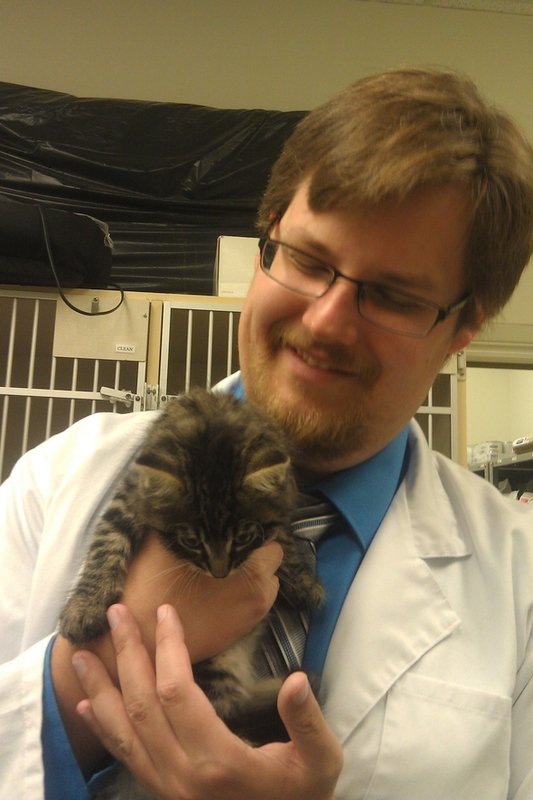 Our veterinarians and staff are experienced and caring. As a team we are dedicated to animal welfare through preventative veterinary care. We place great importance in frequent medical care and annual checkups as a tool in preventing and treating disease in animals. Among the veterinary services available are; preventative medicine, diagnostic and therapeutic services, surgical and anesthesia services, radiology services, dentistry, laboratory facilities, permanent identification, dietary and behavioral counseling and emergency care. We encourage clients to bring family members with them to appointments. Children are often curious, and sometimes anxious or fearful, about what happens when their pets visit the veterinarian. The veterinary visit can be healthy for a child’s development inspiring them to become aware of his/her own health care, as well as increase his/her empathy, compassion, and sense of responsibility to do right by his/her pets. After all, when kids discover pets, they discover themselves. We encourage you to drop in at your convenience to meet our staff and have a tour of our hospital. We would love to know how your virtual tour compares with your visit. 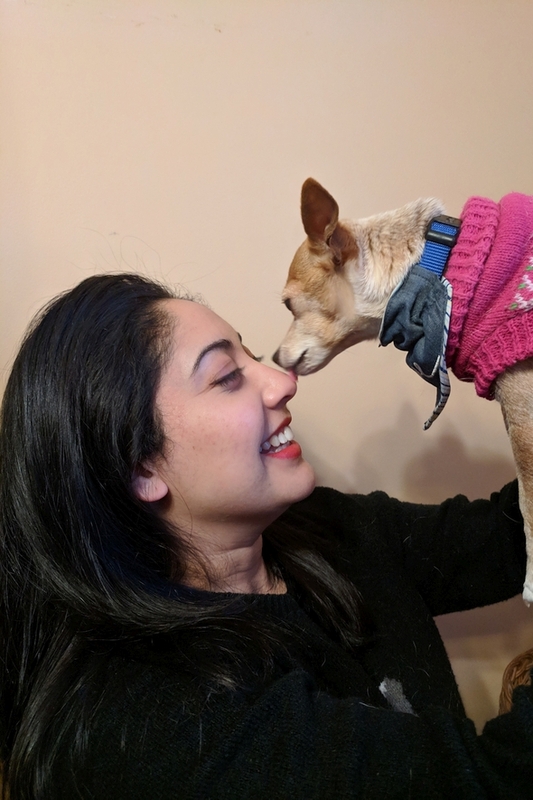 We encourage you to inquire about your pets health care needs and make any suggestions about our services that you feel will help us better meet your individual needs. Very caring, they take good care of our pets. Been going here exclusively since we rescued our dog almost 5 years ago. The staff and doctors have become an extended family to our four legged friend. Highly recommend to anyone looking for a team that goes the extra mile. I have always felt very comfortable with the staff at Hollybank and their sister vet. I actually followed Dr. Sandi from one place to another because I didn’t want to change doctors. I was in Mississauga before and was ecstatic that they opened up another practice in Milton. They treat my dog very well, their assessments were very thorough and they are willing to answer any questions I have. They take into account my opinions which makes me feel better because I am able to be involved in my dog’s care. I took our new pup, Chewy, to this vet few days ago to introduce him and do the initial health check. The staff were very kind and friendly. The doctor was very thorough in her examination and spent way more than enough time to explain the pup on-boarding process. While I’ve read about how scary the first visit to the vet could be, Chewy was very comfortable and spent his time playing around. He even left his mark at the examination room floor 🙂 One of the nice welcoming gestures I’ve noticed was the writing on the white board when we arrived. Thank you and I highly recommend this vet. Sandy (Dr. Roselli) took care of my dog for 16 years, and we couldn’t have asked for a better vet. She really, truly cared about Sable, and was always available when we needed her. The entire staff at Avonlea are exceptional. Sandy – we won’t forget all the things you did for our family and Sable. It meant the world to us. friendly and knowledgeable staff & doctor. clean and inviting office space. waiting area is not too large, which minimizes the possibilities of different animals interacting.. My cat likes that he doesn’t have to contend with over zealous dogs! appointments are usually right on time. There are two examination rooms; one of which is reserved for you and your pet at your appointment time. So there will be little to no waiting in the front lobby area, as long as you arrive on time for your appointment. The vet will make all expenses known beforehand. Very upfront with all of the costs associated with the testing and products; no sticker shock after-the-fact like at my last vet’s clinic. staff take the time to make a follow-up phone call to check on things. Even the doctor herself called me, just to check up my kitty! Changing vets and going to Hollybank Animal Hospital was the best decision ever and has absolutely made a world of difference to us and our beloved cats. We had no idea that vet care could be this great and only wish we’d switched years ago. The outstanding care we’ve received from the veterinarians and staff at Hollybank is absolutely top notch and we couldn’t be happier or more grateful for all they’ve done and continue to do for our cats. THANK YOU!!! Charlotte loves the treats and attention she receives. All of the staff are kind and knowledgeable. Charlotte loves her vets and staff. Overall I am very pleased with her care and I am happy with the clinic! Emmie has been going here since she was around 10 weeks old; she’s now 5. Staff are very nice, helpful and knowledgeable. Great place with wonderful staff! :o) They took the time to follow up with us to make sure our dog Gibson was doing well! Amazing clinic! They truly care about their patients and offer the highest level of medical expertise for our dog. The doctors and staff are fantastic! Went for my first visit with Pedro and they were all great. Even when I call for advice. Then today after Pedro had his little man spot taken away and teeth pulled, still amazing before and after the procedures. After all my what I assume must be annoying phone calls checking up on my Pedro they were still so friendly and courteous. Even sent a picture of Pedro recovering! Exceptional skills dealing with Pedro and great communication skills. Not easy to find these days. Very impressed. Love this team! I am so happy with the care I’ve received for all my pets! Everyone is so pleasant from the front desk up to the doctors. They have handled care from puppyhood through spaying and emergencies with compassion and skill. We have also lost two beloved dogs and one Guinea pig to old age- the empathy and compassion helped us in sad times. I highly recommend Drs Rosely and Johnson. Thanks to this amazing clinic a wonderful vet and such caring staff. Your compassion and kindness helped us to make the right decision for Bruno Again thank you so much. Great clinic and very friendly staff! It took a bunch of calling around to find someone who would look at our ferret but I’m happy we found this one. Dr. Johnson was amazing! Dr. Rosely and staff are amazing. Professional, friendly and empathetic. I just picked up my puppy and was surprised to find that the bill for her surgery had been discounted. I won’t take my puppies anywhere else. Great clinic and very friendly staff. Just wanted to say a big thank you for all your love and support with my kitty Bruno, who sadly I had to say goodbye to on Monday. You can see your love for animals in your work. Thank you.